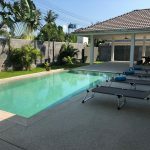 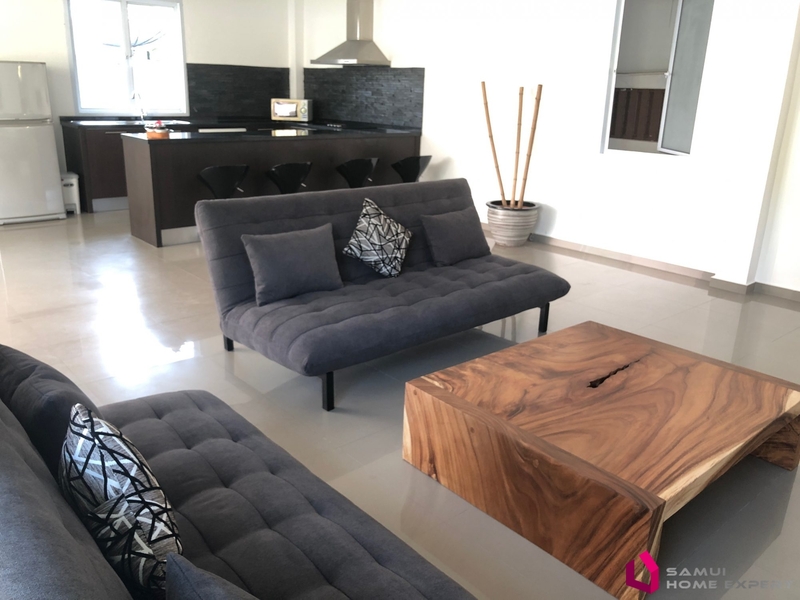 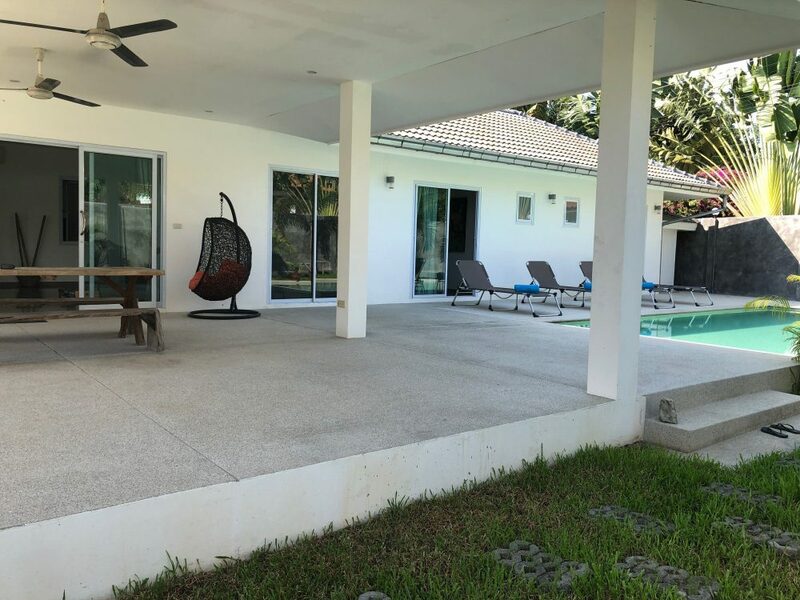 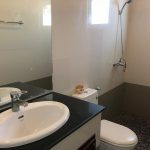 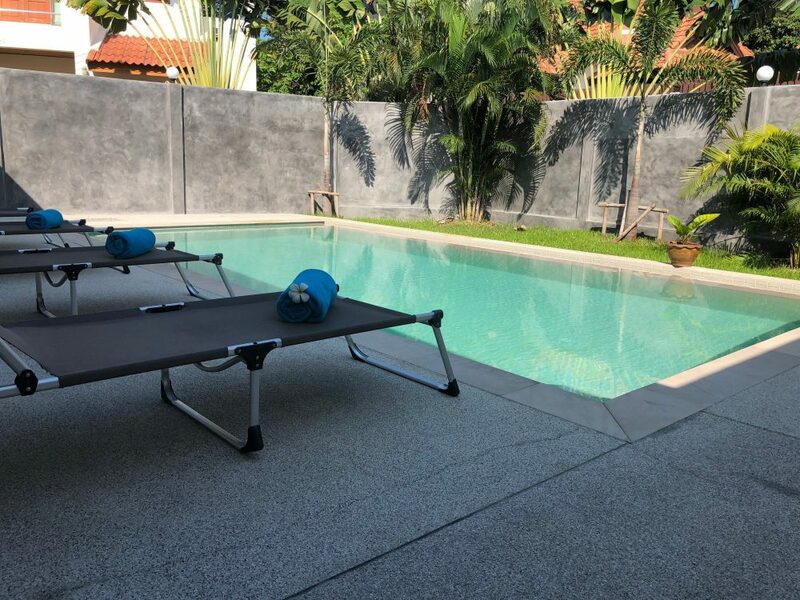 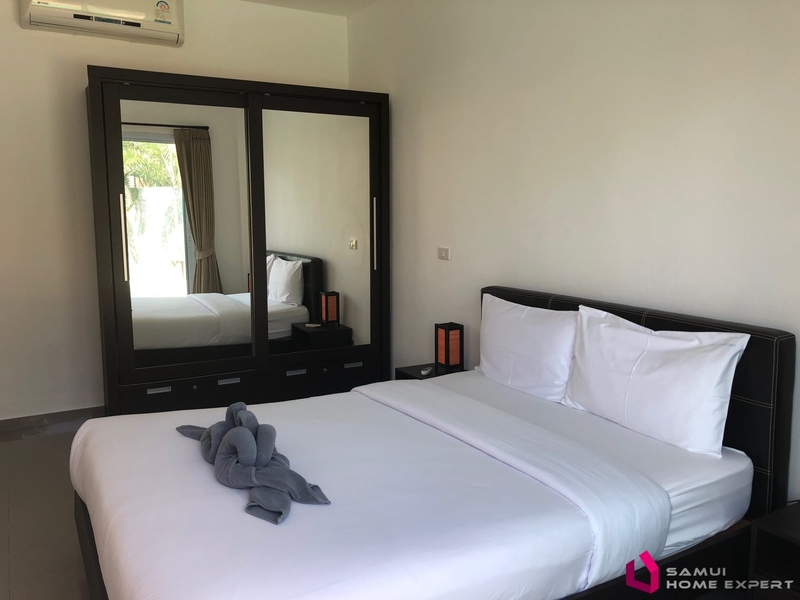 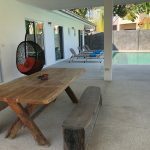 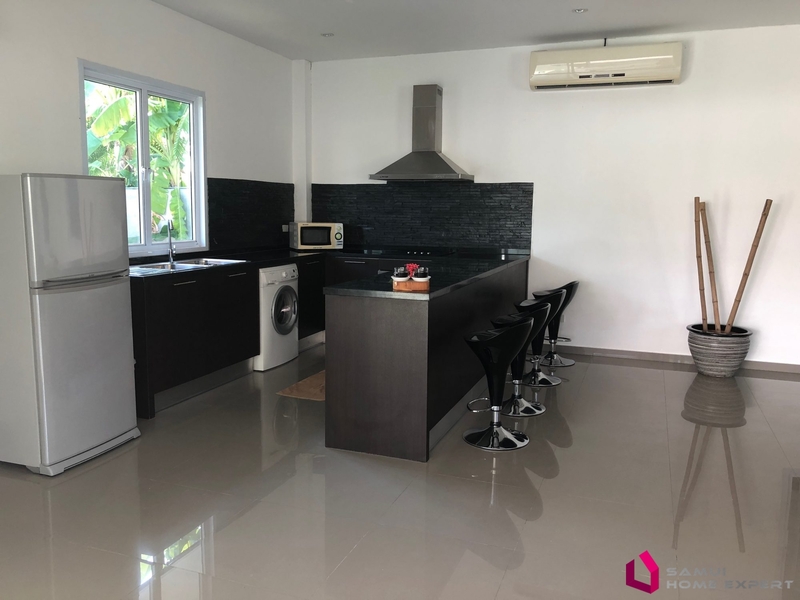 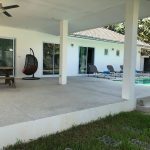 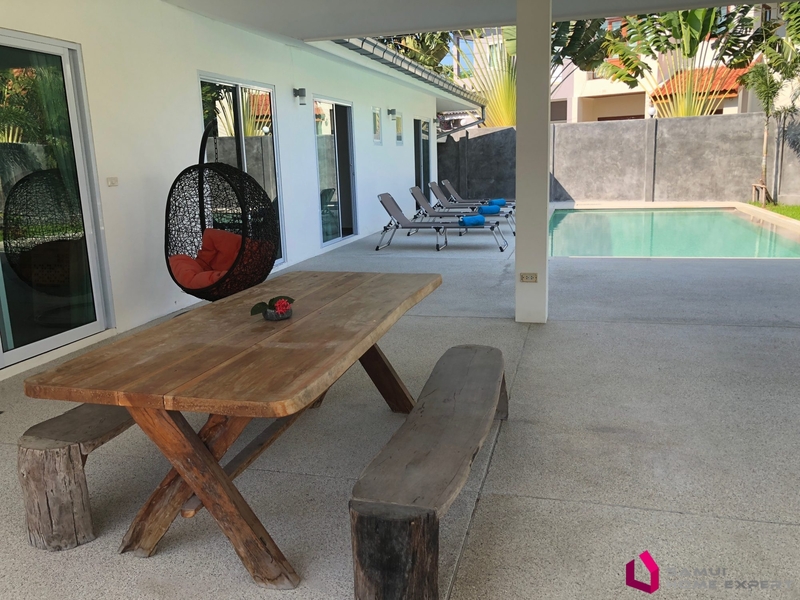 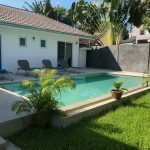 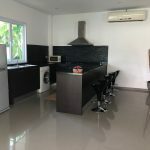 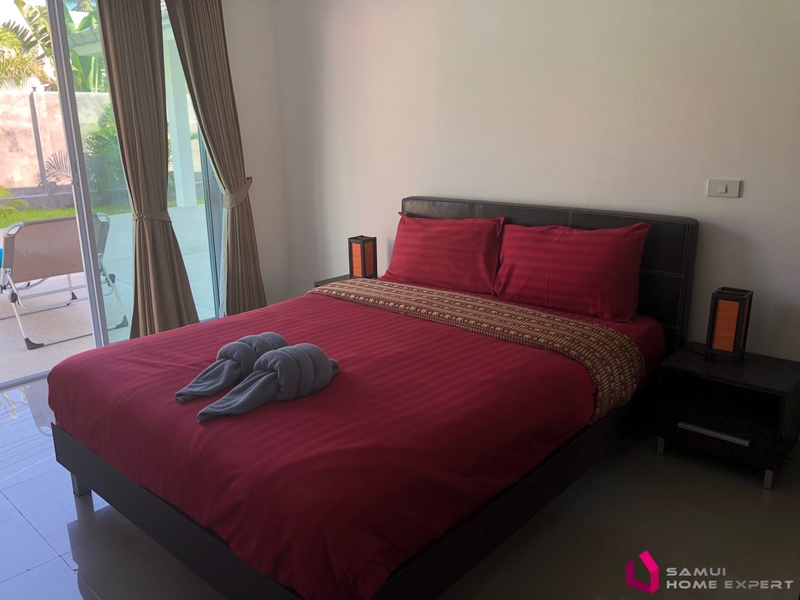 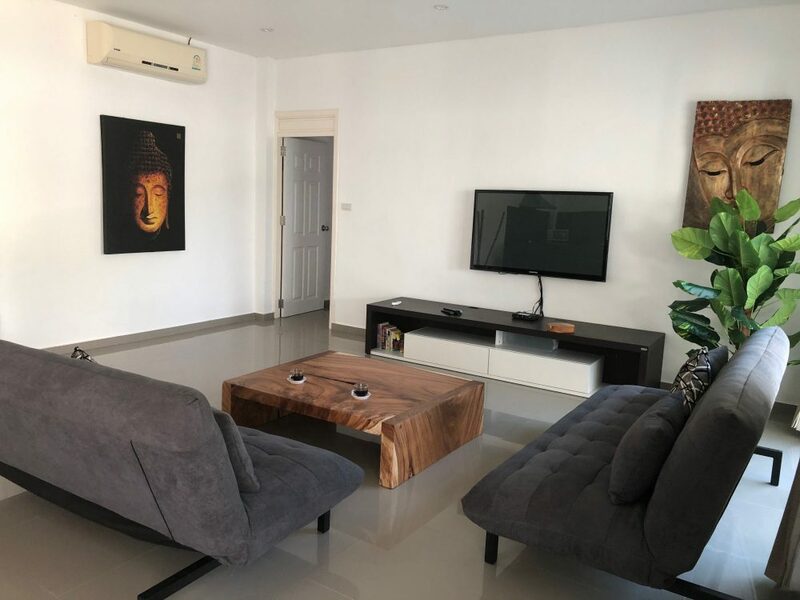 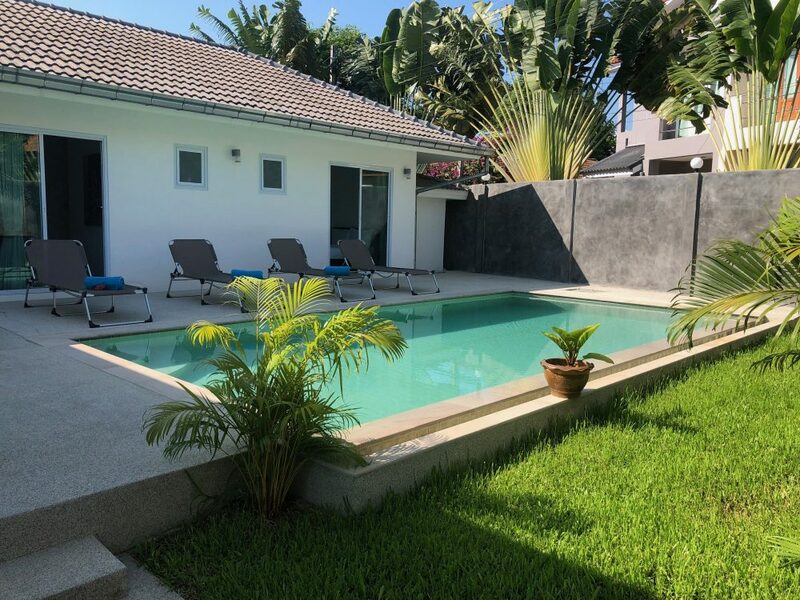 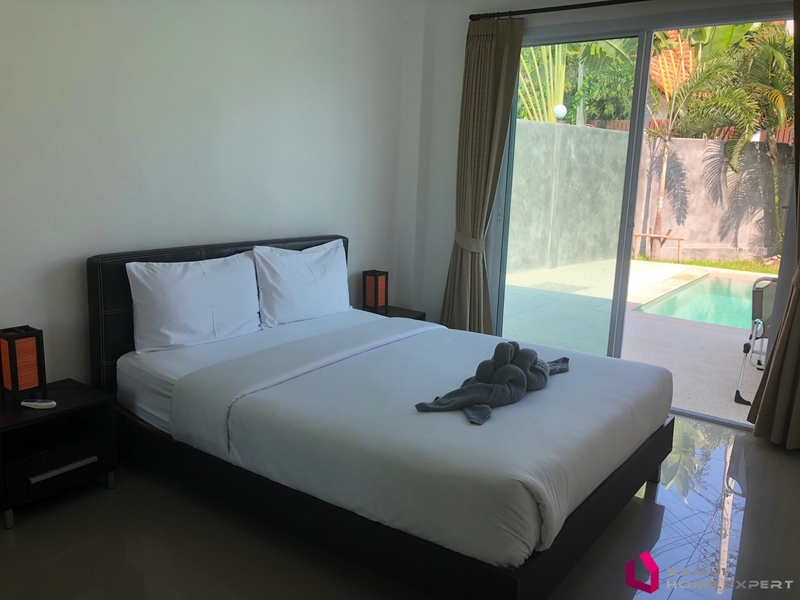 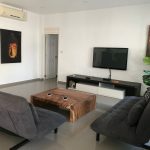 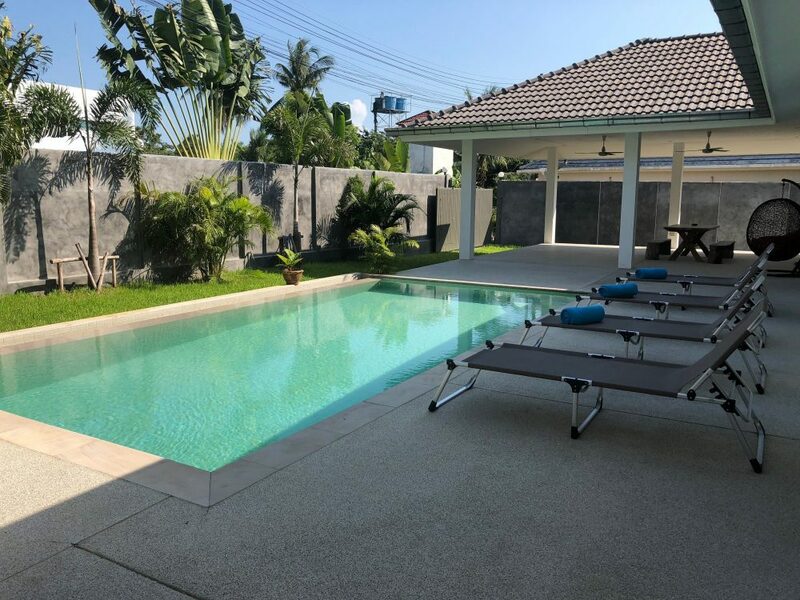 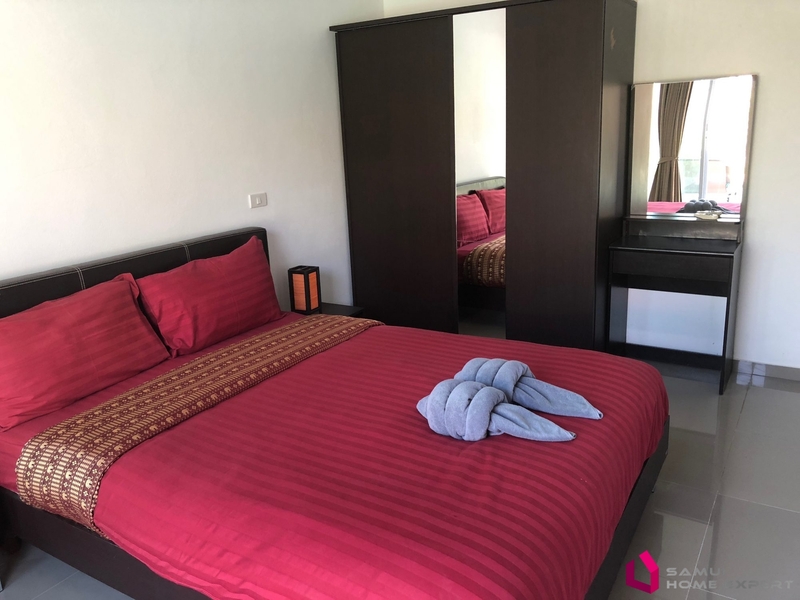 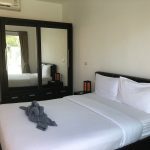 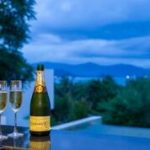 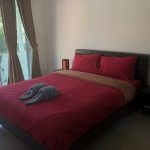 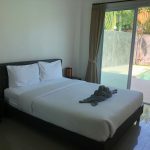 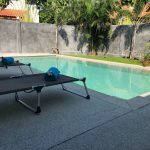 In the quiet, pleasant and residential area of Plai Laem, close to the beach and all amenities, even walking distance, this beautiful private villa of 2 bedrooms, each with its bathroom and open to the pool and terrace, is very practical and comfortable. 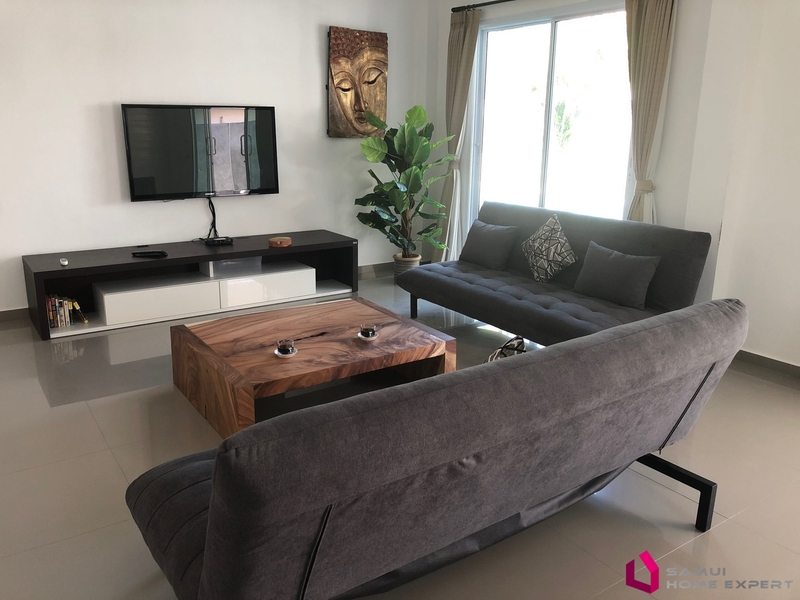 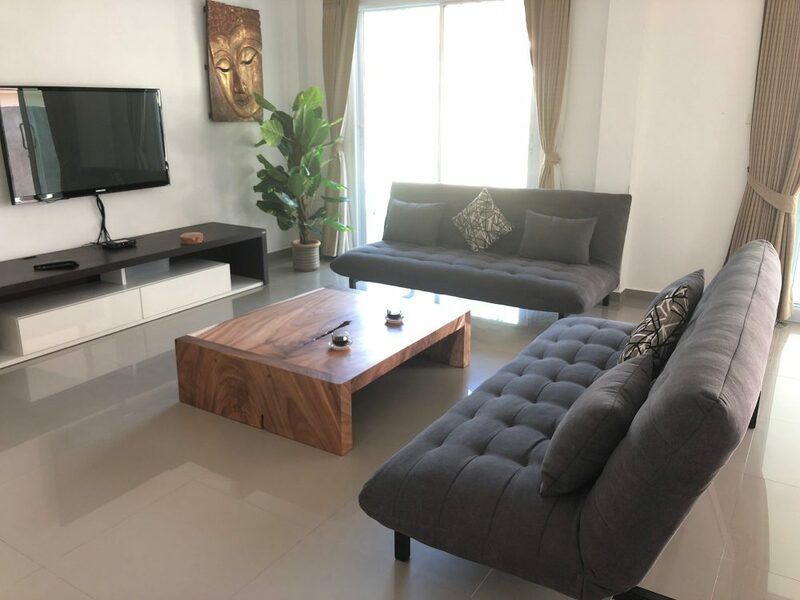 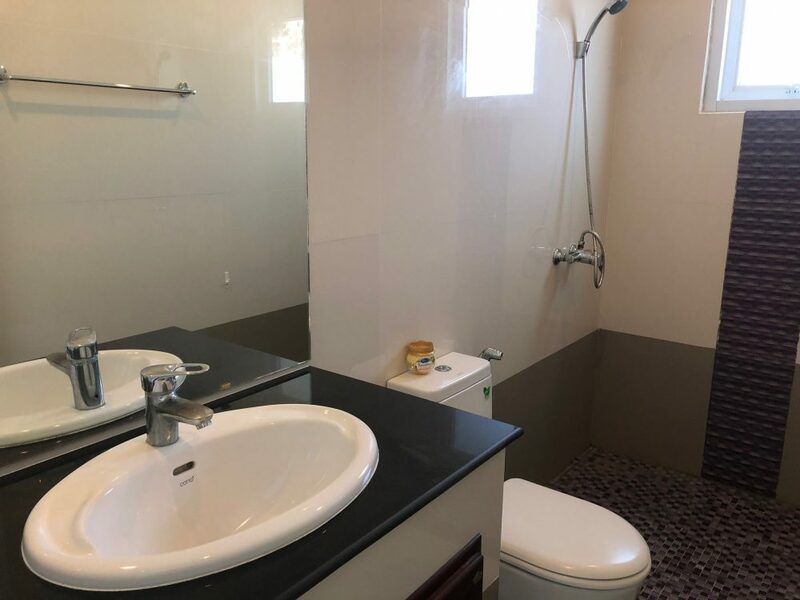 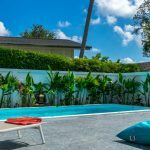 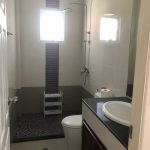 It benefits from a modern living room with a modern equipped open kitchen and a living room, separate guest toilet, 1 parking space, small garden and a partially covered terrace and a beautiful swimming pool. 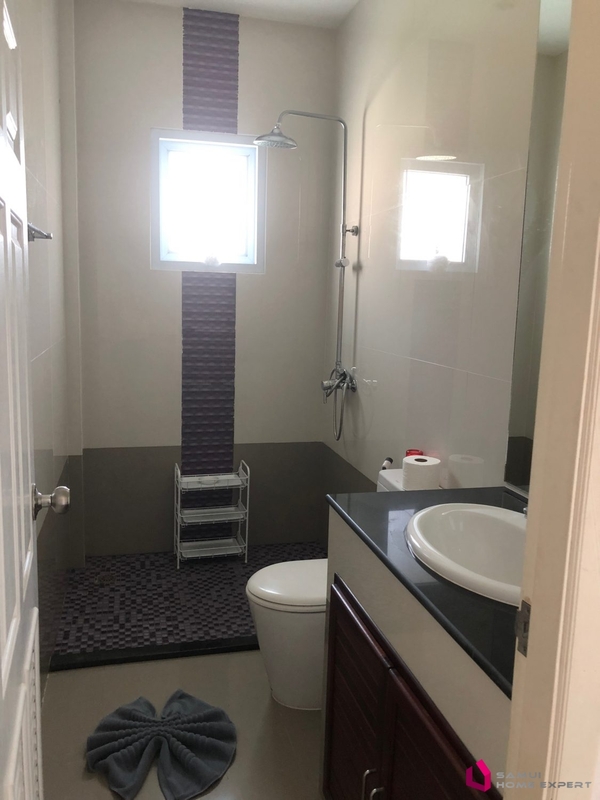 Washing machine and safety box on site. 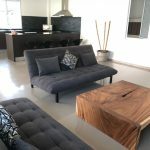 The sofas in the living room are convertible and allow an extra bed for children if necessary. 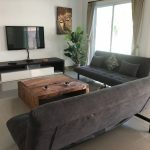 The must, a TV box with a box office and more than 500 international channels. 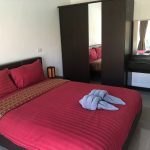 Rental prices vary between 3500 and 4900THB at night depending on the season. 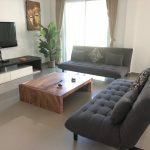 The price included 1 weekly cleaning and excluded electricity at 5THB per unit.